Here’s how to showcase your home’s beauty and function for potential buyers without breaking the bank. Editors' Pick: Originally published Feb. 22. If you've put your home on the market, you're probably hoping for two things: a quick sale and as much money as possible. Of course, to achieve those goals you have to impress potential buyers who stop in for a tour or view photos of your home online. Winning over picky house hunters will take a lot more than simply making the beds, vacuuming the living room and stashing your kids' toys in the closet, so it's time to pull out all the stops. That's where home staging comes in. 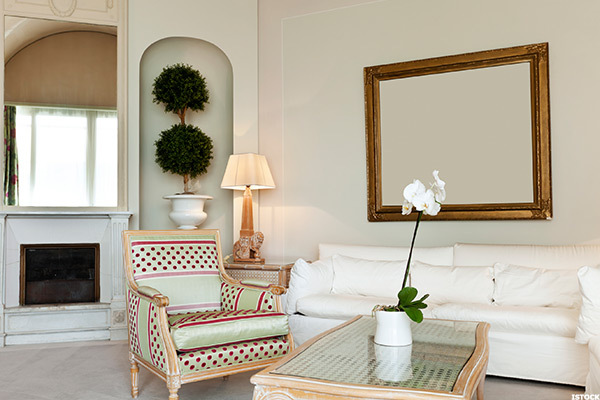 Home staging is a way of reorganizing and redesigning your home to prepare it for showings. 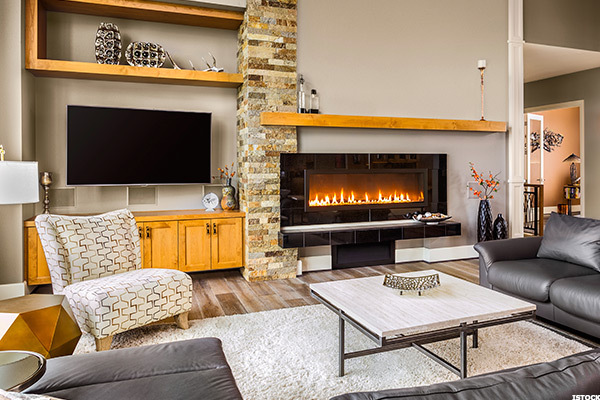 The objective is to highlight your home's beauty and function to the fullest extent, but without cluttering it with too many personal touches that will prevent house hunters from envisioning it as their own. Although professional home stagers are available if you can afford to hire one, sellers on a tight budget can certainly stage their own home without spending a ton. 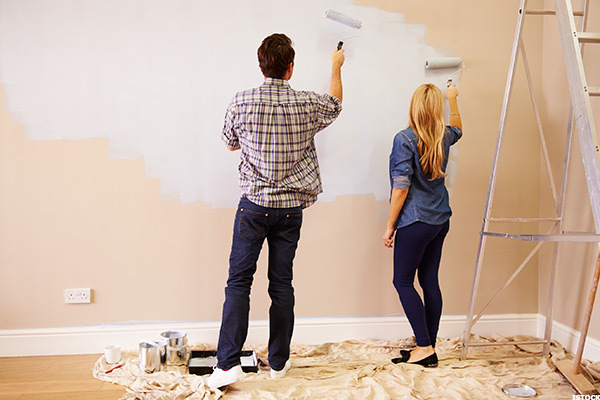 Here are 13 simple do-it-yourself tips from real estate and design experts to help make your home as appealing as possible. If your home features bright walls of color, it's time for a new painting job—this time with neutrals. "The best thing to do for your home is to paint a neutral tan or light gray color depending on the style of home you have," says Josh Christensen, general manager of Five Star Painting in Dallas. "The last thing you want to do is have vibrant colors in any part of the home, which will impede the potential buyer from being able to visualize living there." House hunters certainly don't want to walk into a home and see signs of dirt, stains and clutter. To make your home sparkle for potential buyers, start by collecting all of the excessive "stuff" that has built up in your abode. "If you don't need it in your home, remove it, such as old toys, winter clothes and Christmas decorations," says real estate agent Will Johnson, founder of the Sell and Stage Team, a real estate company in Hendersonville, Tenn. that offers free home staging services for clients. "Rent a storage unit and keep everything in there because a cluttered house can turn away a buyer." Once you've gotten rid of all your junk, it's crucial to do a deep-cleaning of every room in your home. 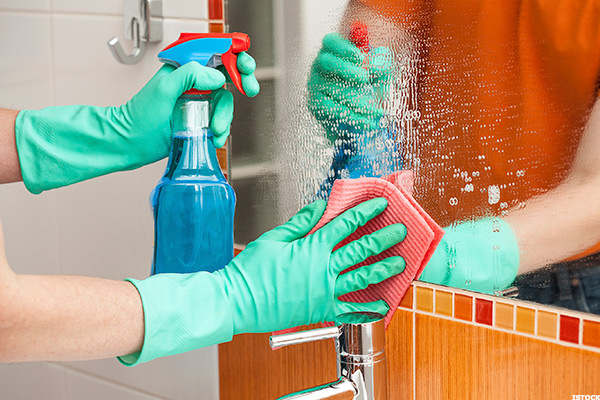 Aside from vacuuming the carpets and mopping the floors, don't forget to scrub countertops, wash windows, clean the toilets and remove dust from furniture and all surfaces. 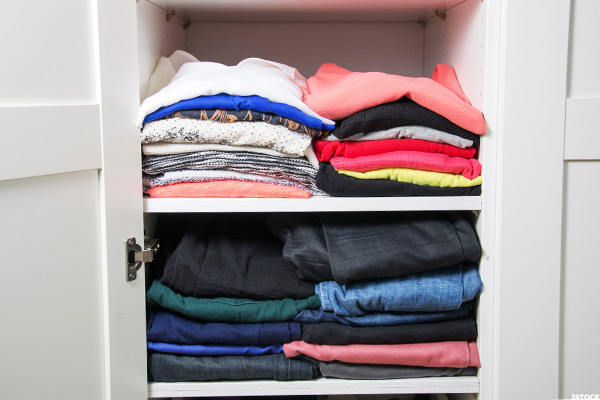 You might think no one will notice what's hidden away in your closets, drawers and cabinets, but the truth is that potential buyers will probably open these spaces to check out their storage potential. It's a good idea to organize all closets, drawers and cabinets and remove any unnecessary clutter. "Use patterned baskets or boxes to organize toiletries and cleaning products, and consider adding organizational tools to your closet to make it seem like there's as much space as possible," says Johnson. Through the years you've probably decorated your home with personal mementos like family photos, diplomas, trophies and medals. While these items may have been meaningful to you and your loved ones, they won't have the same effect on potential buyers. 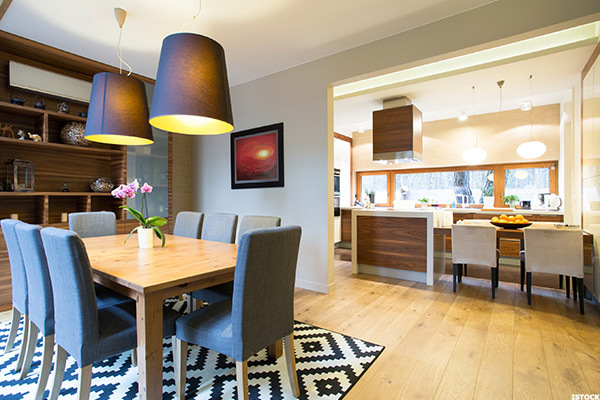 "Depersonalize the home so potential buyers can see themselves in your home and won't be distracted looking at your family vacation rather than the home," says realtor Kim Moucka of Joe Cloud & Associates in Dallas. On days that your home is being shown, consider adding small touches of comfort throughout your abode to create a homey, welcoming feel. 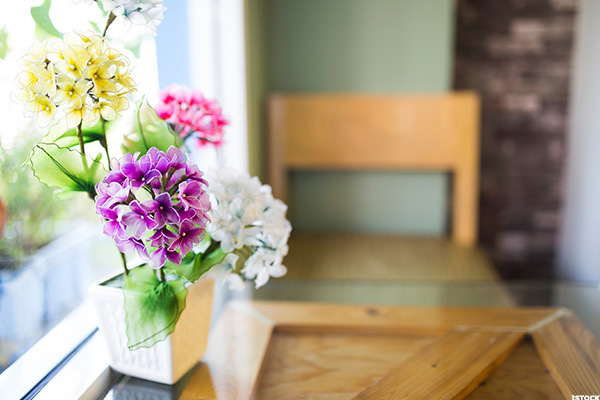 For instance, consider placing a bouquet of fresh-cut flowers on your kitchen table and leaving out cookies and bottled water for people to enjoy. If it's cold out, lighting a fire can create a cozy feel. "These little touches will make your home stand out from the rest," says Moucka. 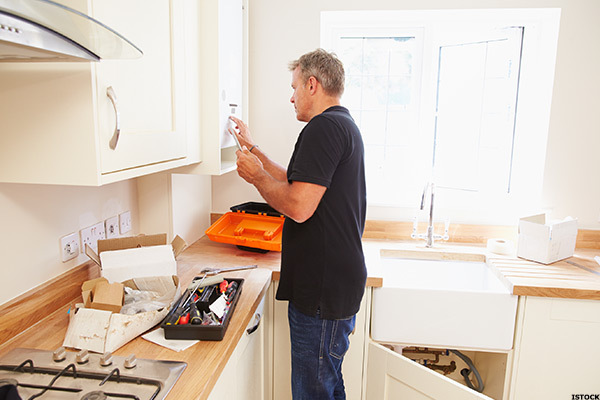 If you've been putting off repairing parts of your home that are malfunctioning, now is the time to get them fixed. If buyers think that your home has been neglected, it could be a big turnoff. 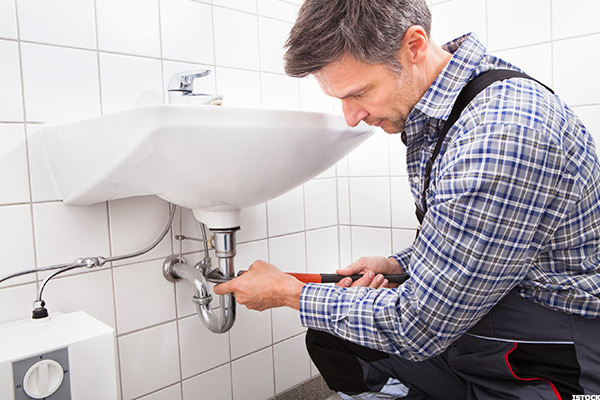 "A leaky faucet or piece of missing baseboard may not seem like a big deal, but when your home is in good repair it sends the message that your home is well cared for," says Sheila Schostok, founder of Your Home Matters Staging & Redesign in Wadsworth, Ill.
A key element of home staging includes making your home as bright as possible. This means turning on all of the lights and opening the blinds and curtains to allow ample sunlight to flood in. Amy Bell, an interior decorator who runs Red Chair Home Interiors in Cary, N.C., says that a well-lit home gives off a cheerful vibe rather than one that is cold and uninviting. While there's no magic way to increase the dimensions of a room, there are clever tricks to make a room appear larger than it really is. For instance, a large wall mirror can help "give the illusion of more space," says Stephanie Scanlon, owner of Decorating Den Interiors in Pittsburgh. However, just make sure that whatever the mirror is reflecting is a pleasing sight. Also, too much furniture can make a room feel cramped, so just include a few great pieces of furniture in each room that help define the space. 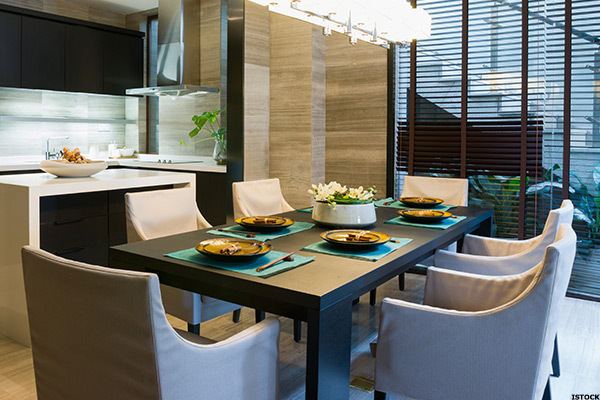 And unless your dining room is especially large, consider removing table leaves and extra chairs from your dining room table to make the room appear more spacious, Bell suggests. 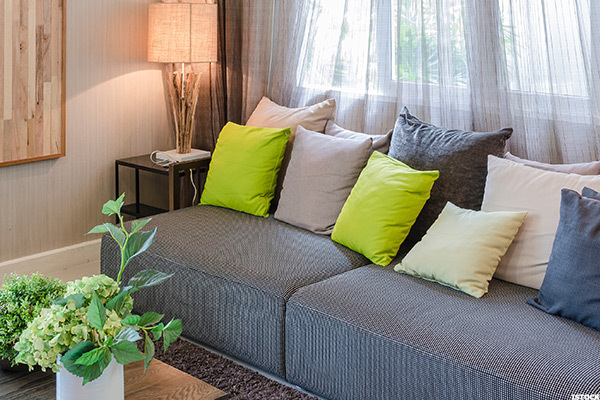 Adding texture to your rooms is a great way to make your home seem warm and cozy. Scanlon suggests decorating with throws, tasseled pillows or even an inexpensive area rug. Check out stores such as Target, HomeGoods, T.J.Maxx and Marshalls for great low-cost options. Some easy and relatively inexpensive cosmetic updates throughout your home can make a big difference, such as replacing light fixtures, doorknobs, shower curtains and faucets. Also, because the kitchen is a major selling point, consider updating your kitchen cabinets on the cheap. "A couple of coats of white paint and new hardware will turn old, ugly cabinets into classic, clean-looking ones," says Maria Samuels, marketing and materials specialist for InStyleModern.com, which sells contemporary furniture pieces. In order to show off your home's appeal, consider staging a setting in key rooms, suggests Rachel Hillman, owner of Hillman Homes, a full-service boutique real estate firm based in West Newton, Mass. For instance, if you have a formal dining area, set it for a dinner party—complete with china, glassware, silverware and cloth napkins. Hillman also suggests adorning your master bathroom with fresh towels, jars of bath salts and unscented candles to make it feel like a spa-like retreat. We get it, your pet is a beloved member of the family, but the sights and smells of your furry friend throughout your home could be a big negative for buyers. It isn't just enough to make sure your animal is out of the house during showings. 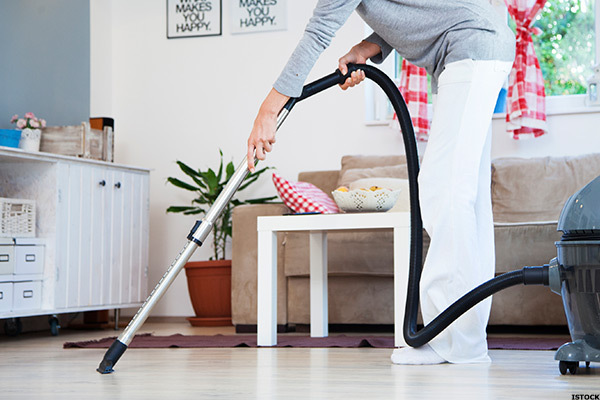 Ross Ellis, a real estate agent for Halstead Property in Manhattan, suggests removing all "telltale signs of pets in your home" by vacuuming away all pet hair and dander and removing kitty litter boxes and bowls of food and water. It's also a good idea to remove your pet's toys and beds from the home. Home staging isn't just about fixing up the inside of your home—it's also about beautifying your yard and your home's exterior. "One thing you don't want to underestimate is the power of great curb appeal," says Mark Taylor, owner of the landscaping and lawn care company The Grounds Guys of Central Virginia Beach. "If potential buyers are not impressed with the outside, getting them to be impressed with the inside might be difficult." When it comes to your lawn, Taylor suggests "mowing and trimming and defining its edges to show off a green, vibrant and healthy lawn." 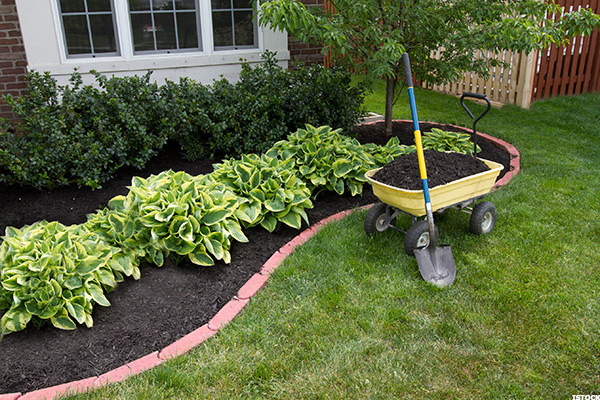 He also says to re-seed or re-sod areas that may appear brown or barren, and to enhance any flowerbeds with seasonal flowers. Taylor says you can add beauty to your front entryway with colorful potted plants, clean patio furniture (if you have the space) and new doormats. Also, be sure to touch up any paint that has chipped or worn over time, and consider replacing or repainting your house numbers and mailbox if they've seen better days.